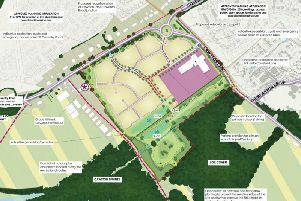 Plans for a 16-home development on the outskirts of a Warwickshire village have been rejected because they would have been built on Green Belt land. Councillors at this week’s Rugby Borough Council Planning Committee also considered that the scheme on Hinckley Road, Ansty, would have an adverse impact on the area and were unhappy that a public footpath would need to be relocated. Thirty letters of objection had been sent in by neighbours and the local parish council was also opposed to the plans saying that it was an inappropriate development on land that currently formed a green buffer between Ansty and Coventry.